Superdry women’s lace panelled mini dress. 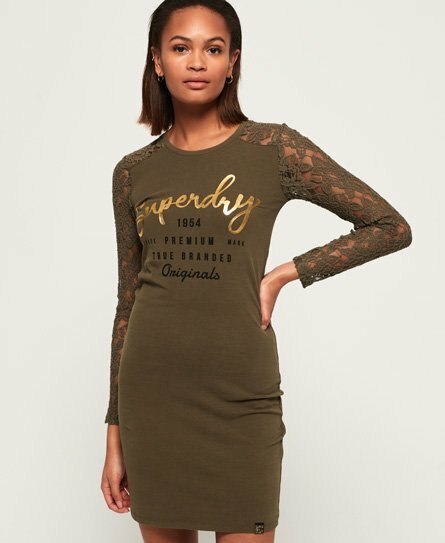 This dress works effortlessly from day to night and features a crew neckline, delicate lace sleeves and a Superdry logo graphic across the front. The dress is a flattering bodycon fit, and is finished with a Superdry logo tab on the hem. Keep it casual with trainers or dress it up with heeled boots.